James Fenimore Cooper was born at Burlington, New Jersey, September 15, 1789, and he died of dropsy, at Cooperstown, New York, in 1851. His father was a person of ability, who served the public as judge and as member of Congress. The boy was reared on his father's estate near Lake Otsego. In that then wild region Cooper may have received impressions which were valuable in his delineations of border life and character. His school life began at Albany and New Haven. At the age of thirteen he entered Yale College, where he studied for three years. The youngest student on the rolls, he yet sustained himself in his classes and gained a good education. In his sixteenth year he entered the United States navy, where he served for six years. Cooper made a few voyages to perfect himself in seamanship. Having obtained a commission as lieutenant, he married, and resigning his commission in 1811, entered upon a life of literary labor. He settled at Westchester, where, in 1819, he produced "Precaution," a novel of the fashionable school. The book was published anonymously and attracted but little attention. It was taken for granted that a new writer was skirmishing under an assumed name to test his ability. The little attention given to the first book, encouraged the author to try again, hence, in 1821, appeared "The Spy," a powerful and interesting romance, founded upon incidents connected with the American Revolution. The great success of "The Spy" at once established the author's popularity; and, in 1823, his fame was still more increased by "The Pioneers," the first of the Leather-stocking series, and "The Pilot," a bold and dashing sea story. The above works placed Cooper in a very favorable light before the public. He at once became popular both in the New and Old World. Thus encouraged he entered in earnest upon a very fruitful literary career. In 1825 he published "Lionel Lincoln," a feeble work; 1826, "Last of the Mohicans," a book often quoted as his masterpiece; and in the same year he went to France, where he published "The Prairie," and in the succeeding year, "The Red Rover." These are among his very best works. In nearly all respects "The Prairie" is his best effort. In 1826 Cooper seemed to be the most popular living novelist. "The Wept of the Wish-ton Wish," appeared in 1827; "The Notions of a Traveling Bachelor," 1828; "The Water Witch," 1830, the poorest of his sea stories; "The Bravo," 1831; "The Heidenmauer," 1832; "The Headman of Berne," 1833. These works were all widely read on both sides of the Atlantic. The object of most of his writings while abroad was to exalt the masses at the expense of the aristocracy. While abroad he also wrote a series of letters for the "National," a journal of Paris, in which he defended his country against certain charges that had been made by the "Revue Britannique." 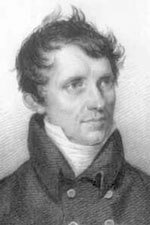 Upon returning to the United States in 1833, he published "A Letter to my Countrymen," explaining the controversy in which he had engaged through the Paris papers. For the rest of his life he continued to skirmish occasionally upon national topics through the public journals. His publications continued by the appearance of "Monikins," and "The American Democrat," 1835; "Notes" on his travels and experiences in Europe, in three volumes, published in 1837. These three volumes are estimated by foreigners as "a burst of vanity and ill-temper." "Homeward Bound," and "Home as Found," were published in 1838. For these several works he was criticized most severely by the public press. Cooper retaliated by commencing a series of libel suits. In all of these he was successful, after which he returned to his book work with unusual vigor. In 1839 he published a "Naval History of the United States;" 1840, "The Pathfinder," an excellent Leatherstocking novel, and "Mercedes of Castile;" 1841, "The Deerslayer;" 1842, "The Two Admirals," and "Wing and Wing;" 1843, "Wyandotte," "The History of a Pocket Handkerchief," and "Ned Myers;" 1844, "Afloat and Ashore," and "Miles Wallingford;" 1845, "The Chainbearer," and "Satanstoe;" 1846 "The Redskins." In 1846 he published, also, a set of "Lives of Distinguished American Officers," being supplemental to "Naval History," etc. Taking up his line of novels again in 1847, he published "The Crater, or Vulcan's Peak;" 1848, "Oak Openings," and "Jack Tier;" 1849, "The Sea Lions;" 1850, the final work, "The Ways of the Hour." It must appear from the above that Cooper's pen was never idle. In his novels he appears to be at home, but in his numerous notes on travels, and in his many treatises on the institutions of America, he subjected himself to severe censure. "On all sides, wherever the eye turned, nothing met it but the mirror-like surface of the lake, the placid view of heaven, and the dense setting of woods. So rich and fleecy were the outlines of the forest, that scarce an opening could be seen; the whole visible earth, from the rounded mountain-top to the water's edge, presenting one unvaried line of unbroken verdure. As if vegetation were not satisfied with a triumph so complete, the trees overhung the lake itself, shooting out toward the light; and there were miles along its eastern shore where a boat might have pulled beneath the branches of dark Rembrandt-looking hemlocks, quivering aspens, and melancholy pines. In a word the hand of man had never yet defaced or deformed any part of this native scene, which lay bathed in the sunlight, a glorious picture of the affluent forest grandeur, softened by the balminess of June, and relieved by the beautiful variety afforded by the presence of so broad an expanse of water." His stories have been translated into nearly all the languages of Europe, and into some of those of Asia, and are even now found worthy of a reprint. Balzac admired him greatly; while Victor Hugo pronounced him greater than the great master of modern romance, and this verdict was echoed by a multitude of readers, who were satisfied with no title for their favorite less than that of "the American Scott".